At about halfway through the semester, the SDH team and residents have made a lot of progress with the house. 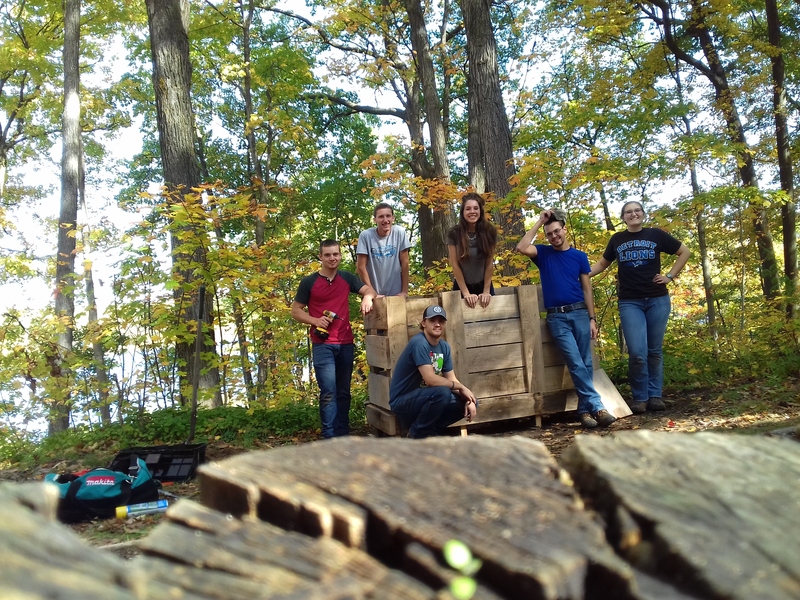 One major accomplishment for the team so far has been the design and construction of a compost system. Composting is a great way to recycle food and yard waste and produces a usable, nutrient filled mixture to support a healthy garden. By composting, the team is also able to reduce their carbon and nitrogen footprint. Food waste that goes into a landfill decomposes anaerobically and releases about 3.8 pounds of greenhouse gases per pound of food; composting can reduce this amount significantly. The system that the team designed consists of three bins, which allows for a greater capacity of waste to be composted. More importantly, this allows for three stages: incoming, working, and completed. New food and yard waste will be added to the first bin until it fills. When it becomes filled, the material will be moved into the second bin so it can continue to decompose. The process of moving it into the next bin helps to aerate the material to help the bacteria decompose the waste. Eventually, it is moved into the final bin where it completes the process and becomes usable for the garden. 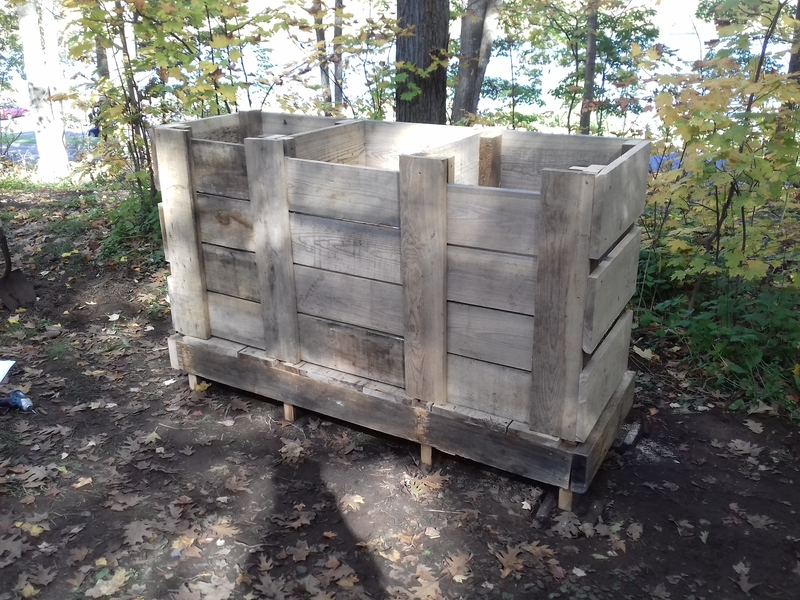 The SDH composting system is 2’x6’ total with three 2’x2’ bins. The bins are constructed from wood and small slots are left between each board to provide additional aeration. Constructing the system took the team about six hours to complete, but they had a lot of fun during the process. Now they can provide a nutrient-rich soil for their garden and divert their food waste from a landfill – it’s estimated that American families produce 20 pounds of food waste per month on average, so this project should make a positive difference!